SEO vs PPC - Which one does your business need? SEO vs PPC – Which one does your business need? Just like the headliner in a boxing match, the SEO vs PPC debate is keeping everyone on their toes, making sure that they back the right horse. 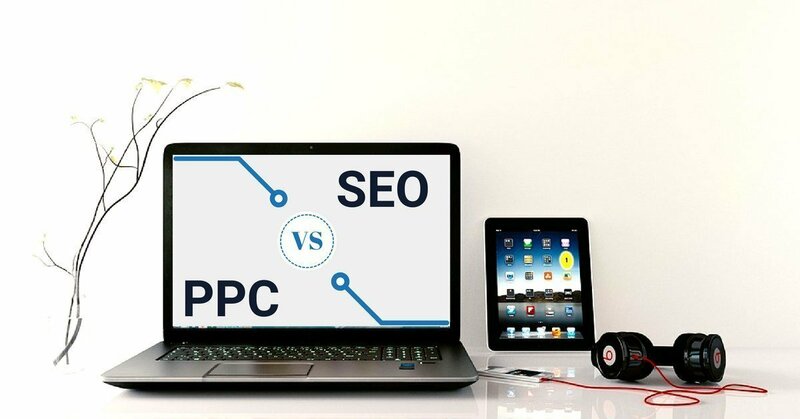 SEO vs PPC is becoming an everyday terminology in the world of digital marketing, as they offer a means of reaching that coveted first-page status on Google. Both of these strategies are effective in their own right but equally, they require a substantial amount of research in order to get the most out of them. Let’s have a closer look at the competitors and see which is better for your business! SEO stands for search engine optimisation, what that means is increasing the flow of organic traffic to your website by using the right keywords and link-building. SEO already has a leg up over PPC marketing as the traffic that SEO generates is completely natural and as a result inspires a greater sense of trust in potential consumers. The way SEO works are that Google’s search engines hunt for websites with keywords, and related keywords, to a customer’s organic search. But it is not just a matter of keywords, the website needs to meet a whole range of other requirements; mainly two: On-Page SEO and Off-page SEO. On-Page SEO is everything that happens on your website; such as the use of multimedia, short and keyword rich URLs and even the page speed. While Off-Page SEO is what doesn’t happen on your websites such as reviews left by people and link-building. In a matter of milliseconds, Google will have produced a list of related searches filled with the highest quality websites. Unless you’re number one on Google, you’re not going to see a whole lot of traffic as hardly anyone scrolls past the first page on Google. Keep in mind that while the monetary investment in SEO is relatively cheap when compared to PPC services, the hard truth is that it requires a substantial investment in terms of time. Furthermore, unless you have a group of experts working round the clock monitoring and optimising your website it’s going to be quite hard to break through the rest of the crowd. Trial and error isn’t really an option, as any mistakes that you might make could result in your website being penalised by Google. In fact, it is usually a better idea to outsource this sort of work to a professional SEO company as they can better ensure success! PPC, also called Pay-Per-Click, involves advertising within a search engine’s paid search slots. Ads dominate the first four slots on a desktop and the first three slots on a mobile device. There are several different types of PPC marketing, whether you pay through a bid (as with Google’s Adwords) or through a flat rate, or whether you want to focus on Search or Display PPC (whether your website appears on a search results page or the advertisements that are displayed on the side). There are subtle differences to each, but its best to focus on one type, specifically Google’s Adwords, in order to gain a better understanding of how PPC services work. With PPC marketing you “bid” (rather than actually buy) on a keyword, or a group of keywords, and when a user types in those keywords, or even something related to those keywords, then the bidding process starts. So if you’ve invested in the keyword, “car insurance” Google will also look for terms such as “automotive insurance.” There is a lot of work that goes into making the most out of your PPC investment, such as constantly checking which keywords underperform and editing as necessary. The main reason you should focus so much on keywords is that you need to find the most cost-efficient keywords to invest in. You’ll also want to manage your flow of traffic so that you cater you landing pages to better match with your clients’ search queries. That means improving your conversion rate so that people clicking on your ad actually buy your product. Keep in mind that you are paying per click generated by the ad, so it is paramount to ensure that the profit you earn for that visit will outweigh the advertising costs. What is interesting about PPC marketing is that it is not necessarily the person who spends the most money who gets the highest ranking. Your Quality Score still matters significantly as the way your ad position is decided is by multiplying your quality score by your bid. So your bid can help give your company a boost, but if your quality score is low, you’re going to end up spending more to compensate for your lower score. That’s why keeping your quality score high is of the utmost importance. In fact, the higher your score, the less you pay as what you actually pay is determined by the Adscore (the product of your quality score and your highest bid) of the person below you divided by your Quality score plus 0.01c. The lower your quality score, to more you will have to pay per click, which can make a significant dent in your profit margins. This is Google’s way of reducing the number of low-quality websites appearing on its search engine. More often than not people glaze over the search results with the words “Ad” next to it. So it might seem that the SEO vs PPC match might turn out to be a wash, why would you want to invest in something that people don’t trust? There are certainly times to use PPC services – when you’re first launching your company, it’s a great way to get your name out there and build brand awareness. For a limited time offer or special event, PPC marketing is an effective way to get the exposure that SEO wouldn’t have time to contribute to. Furthermore, if you’re facing some very tough competition, PPC marketing might be the only way to stand a chance. SEO vs PPC: Which is better for your business? It’s not really a question of either/or, of SEO vs PPC, as PPC marketing can become very pricey, very quickly. It is more of a quick boost rather than a long term solution. You have the luxury of being able to choose the right time to advertise, or to a specific group of people. But in order to get the most of it, a lot of legwork in terms of research needs to be done and managed effectively. Who’s your target audience, when do they browse the internet the most, what’s the best time, which keywords are working and which are turning into money-sinks. This process needs to be constantly monitored in order to make the most out of your PPC marketing. When it comes down to it, you shouldn’t be aiming to have a good Quality Score just for the sake of PPC services. What a good Quality score really means is a well-tuned website and a well-tuned website looks and feels professional. It is something which should always be a top priority. The best thing is to have both SEO and PPC working together, by having your website optimised for SEO you will have already started improving your traffic flow so that when you do decide to jump into PPC services your website will be primed and you’ll hit the ground running! Wherever you stand on the SEO vs PPC divide, it is extremely important that you find an experienced digital marketing agency who understands your company’s needs. Do you need help creating an SEO or PPC marketing strategy for your business? If your current strategy doesn’t seem to be driving the results that you need, get in touch with Growth Gurus!